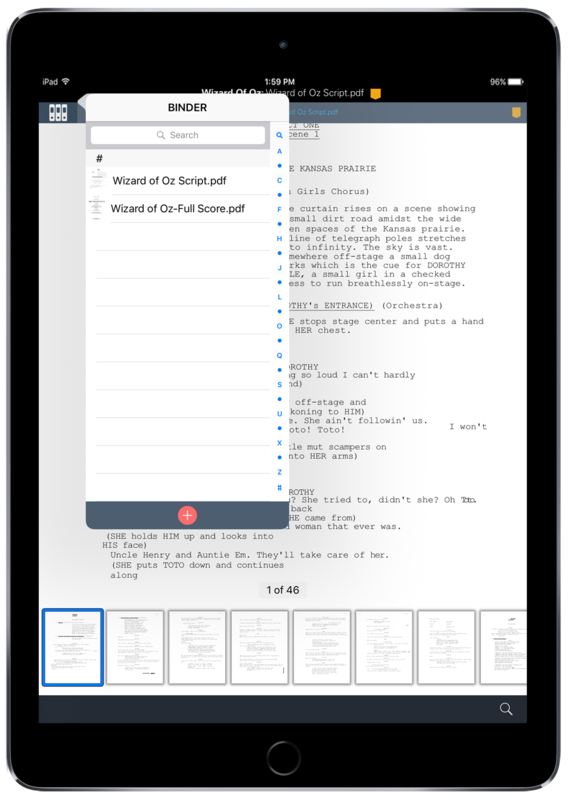 Have all important documents at the flip of the iPad - add your new scripts, scores, and other production documents to your digital Binder. To learn more, you can watch our video guide and/or check out our step-by-step instructions below. 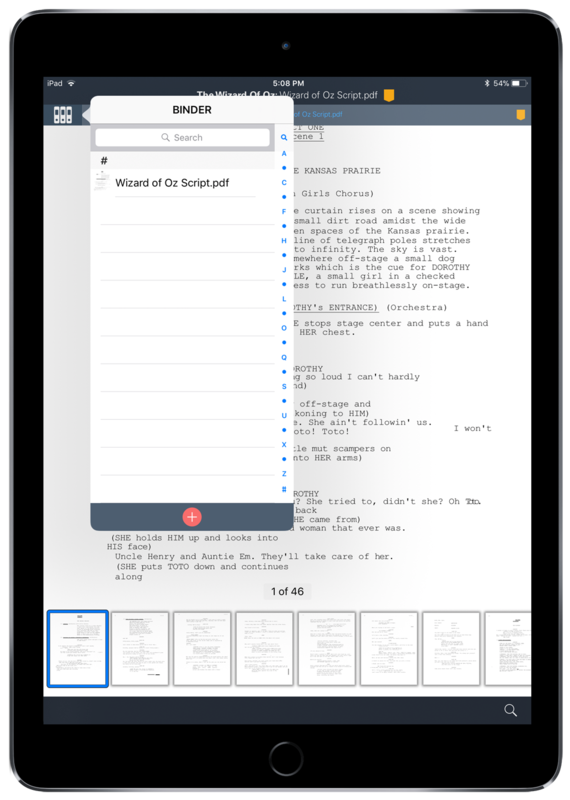 You're now able to add a new PDF document when you're in the Binder. Simply tap the binder icon on the top left corner to access your Binder dropdown menu, and tap the red plus (+) button. As you do with uploading media, pick a connected app to grab your PDF document from. We will use Dropbox in this example. 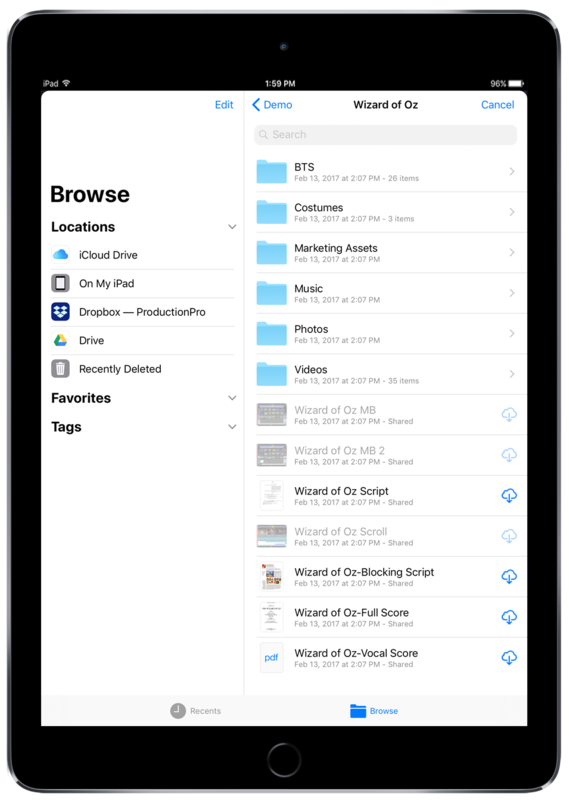 From the dropdown menu, tap the red plus (+) button, then "More" and "Browse" to access your Dropbox (or Drive, Box, etc.) folders. 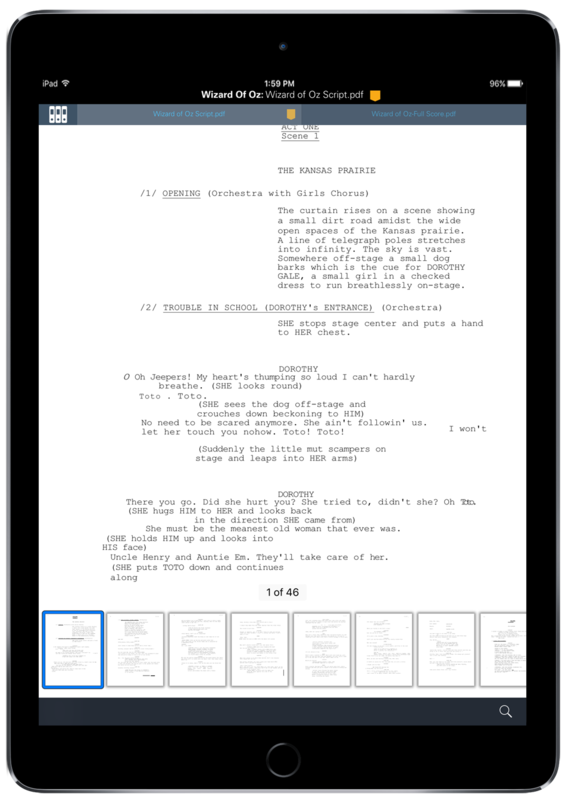 Select the PDF you'd like to add to your Binder to start the import process. Once the new PDF has been added, it will appear in your Binder dropdown menu. Now just tap the new document to open it in your Binder! 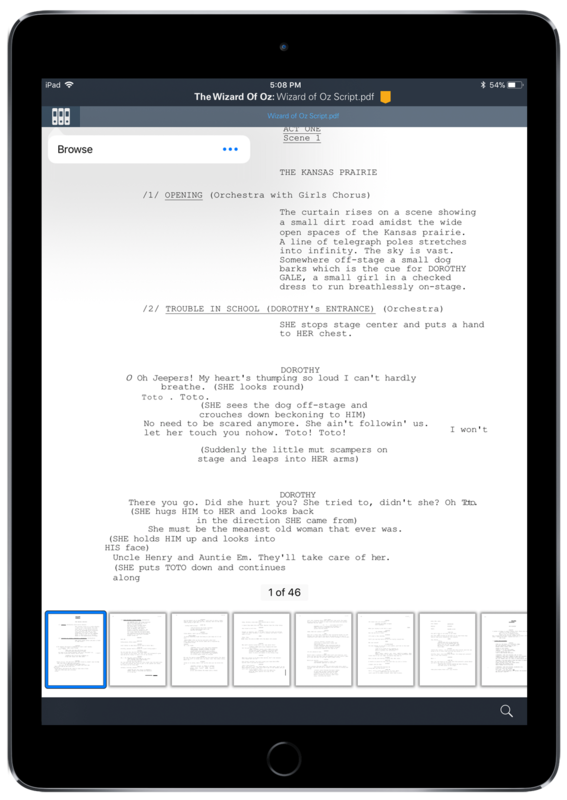 Can I add a new script version to my Production? Can I watermark my productions? Can I add a script after creating a Visual Scroll from Scratch?